I am guilty… guilty of falling in love with bread baking… this weekend I spent really loads of time in the kitchen and I must say that I really rested well by doing so. Last weekend I was given a bread recipe by a very nice British guy by the nickname Squonky – it’s a recipe for Whole Wheat Honey Bread, which I had to rename as the bugger was trying to escape the bowl one time too many 😉 I call it Houdini Bread 😉 Anyway, thank you Squonky, this bread is fantastic! Dissolve the yeast in a large bowl using 1/2 cup of the warm water. Stir in the molasses, honey, salt and melted butter. Add the remaining water and the flour cup by cup until the dough becomes hard to stir. Turn the dough out onto a flour dusted work surface and let it rest while you clean out and grease the bowl (I smeared it with a little more butter). Knead the dough for about 8 to 10 minutes, until it becomes smooth and loses most of its tackiness. 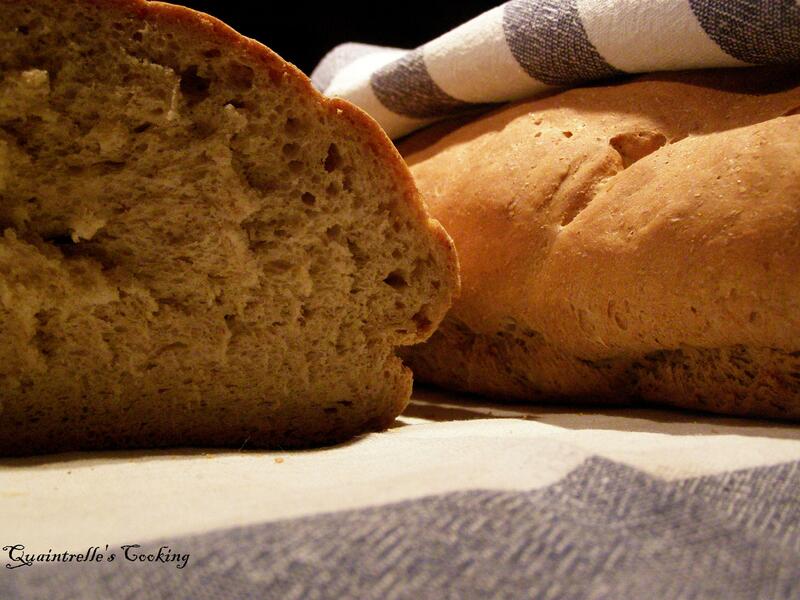 I kneaded the dough for good 20 minutes, the dough wasn’t too firm though, but I guessed it was because of the yeast. Return it to the greased bowl and cover, let it rise until about double in size – could take about 2 hours. I let it rise and thought: ok Squonky said 2 hours, so I have time to go for a walk… and I was wrong! Thankfully it started to rain and Historian insisted on going back home. 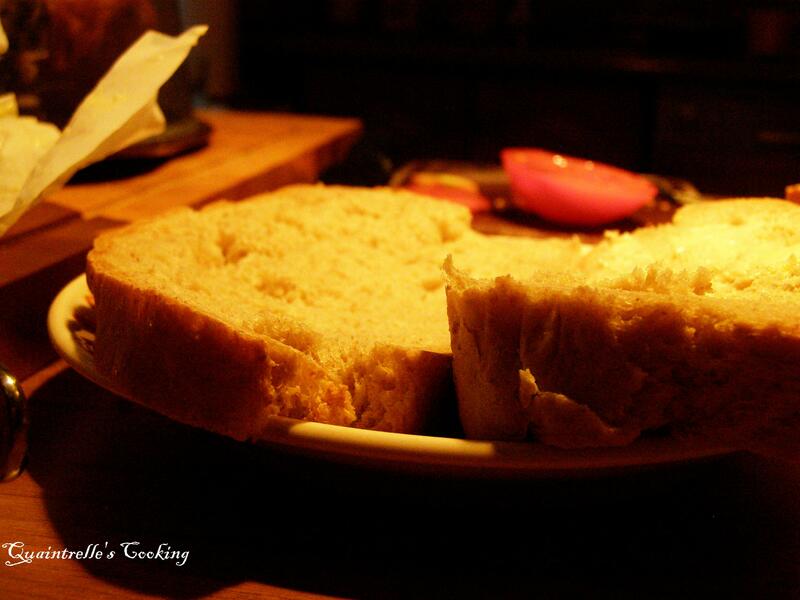 When we returned we saw that the bread was trying to escape the bowl… and we were gone for maybe 40 mins. So the bread was maybe rising for 1 hour. Punch the dough down then shape it as required or place it in loaf tins. (I plaited mine). Cover with a towel and let it rise for about an hour. As I always do, I punched the dough down, kneaded it quickly and let it rise for another 15-20 mins. Then shaped it and let it rise again before putting it into the oven. Bake at 350F, 175C (Gas Mark 4). The original recipe said for 45 minutes, but I gave it about 1/2 hour before I checked it and then gave it about another 5 minutes as I wasn’t using loaf tins. I’d just plaited the bread and popped it onto a baking tray, dusted with more flour before baking. I placed the dish with water on the bottom of the oven, as I always do. And I think it took in total about 45 mins for bread to be ready, what I checked with knock-on test. 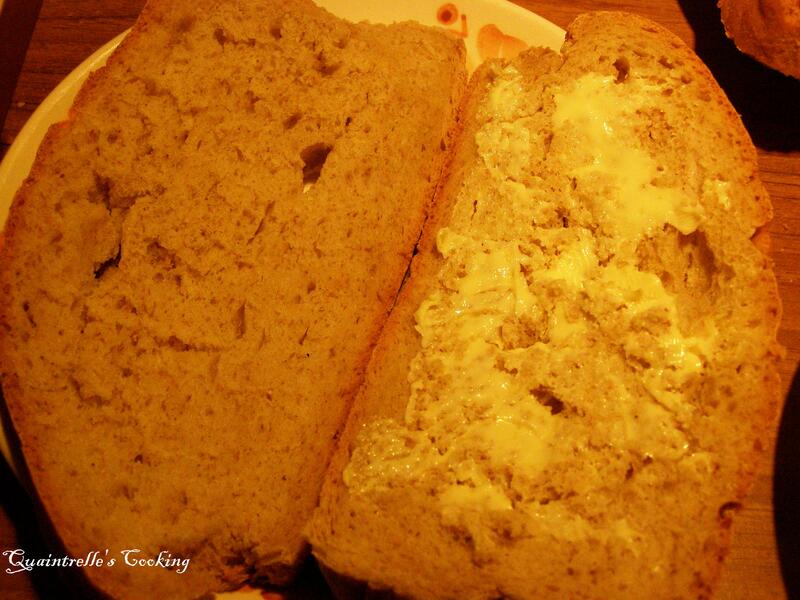 I simply love this bread! It was so much fun to make it and I’m really greatful to Squonky that he had shared this recipe with me! Thank you again! And now, when I’m peachy keen, it’s time for bed 🙂 Good night all! 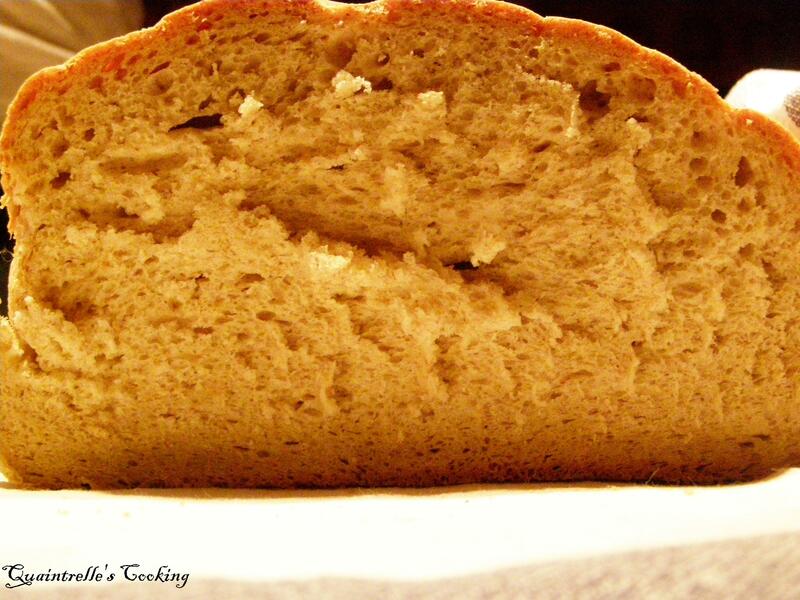 This entry was posted in baking, bread, food talk, recipe, Squonky, whole wheat and tagged bread, honey, whole wheat. Bookmark the permalink.